Family photos last a lifetime and more. Children grow up and before they leave home, every day presents new challenges and exciting opportunities. They reach milestones and it is impotant to remember each phase of a child’s life. 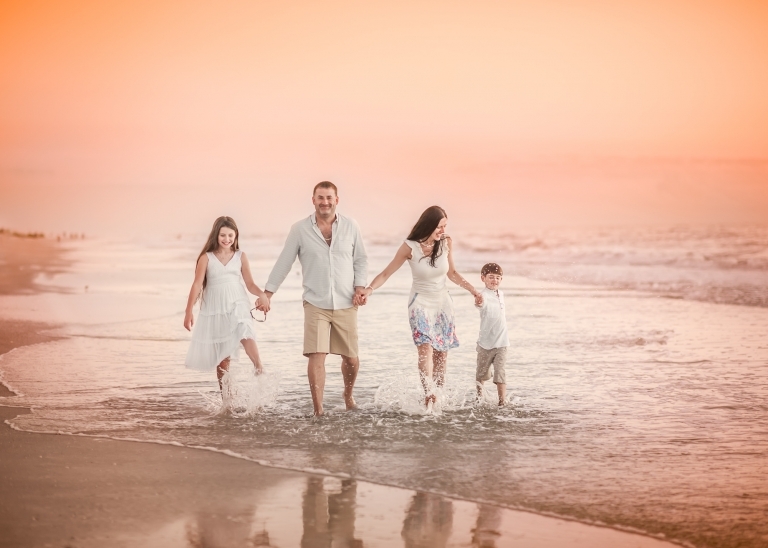 Family portraits help to recollect a warm memory when children have grown and moved on. 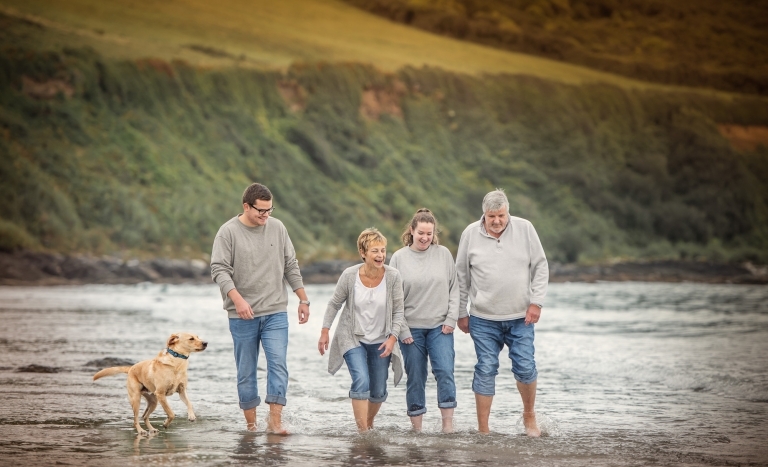 Family photo session can be done at our photo studio in St Austell Cornwall or at surrounding locations in Cornwall. Before the photo shoot we will have a full consultation with you about your desires from the photos. For the session in the studio, you are welcome to bring up to 3 outfits of your choice for yourself and family. We will aim for a variety of photos in different set ups. There will be lighter and darker sets, so we recommend to go with plain natural colours smart or smart-casual outfits in darker and lighter shades, without distracting patterns and stripes. Usually the session lasts about 1 – 2 hours. During this time we will take a various images of the whole family and individual family members. Cornwall has plenty to offer location wise, from magnificent beaches to romantic woods. Location photography is the way to go with younger children and larger families. They are much more relaxed and kids can run around and explore. All of this will lead to far better expressions and a fun family experience. After the session we schedule the date (usually within 7-10 days) for you to view your edited images in person at the studio and decide on which package/photo product you’d like to go for. 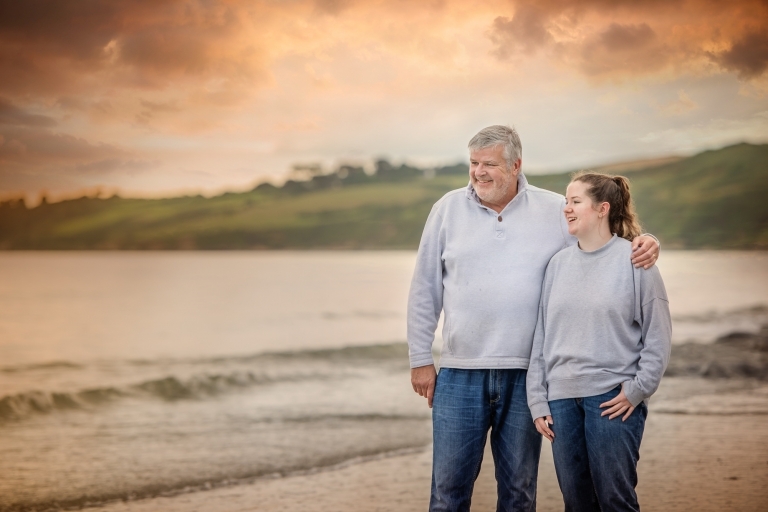 To book there is a £35 non-refundable session fee for the studio and locations within 7 miles of St Austell. For the further location, there is £15 travel fee. You should be able to add this option when checking out. To have a chat, discuss your requirements and check the available dates, please do not to hesitate to contact us. 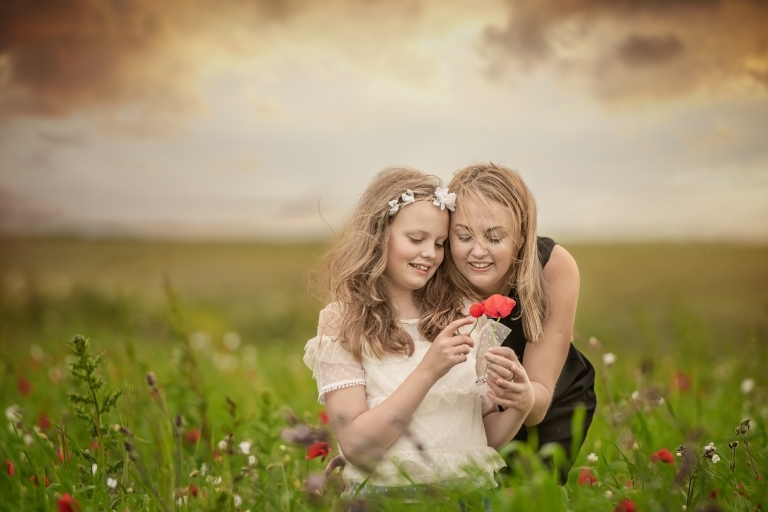 "Maryna is a talented photographer who our children warmed to straight away. On both of the occasions we have used her so far, the photographs have been stunning and good value too. 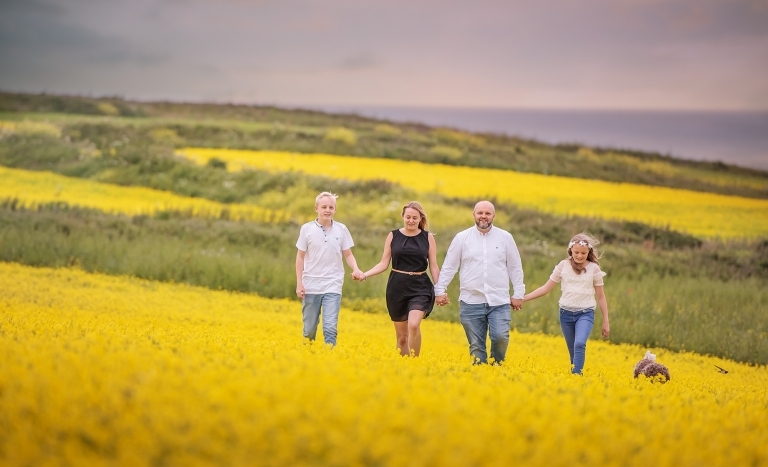 A lovely photographer - highly recommended!" Q: What should I wear for the family photo session? A: It is always best to wear clothing in natural colours (blue, beige, white, brown) that are free from large logos, letters and numbers as these can be distracting. Please do not choose black and white boldly patterned and stripy t-shirts or tops and try to avoid beach shorts and flip-flops! Though they are great for holiday wear, they do not contribute to good portraiture. Collared shirts of a single colour or with a very gentle pattern are the best for men and boys. Brightness and business of clothing make pictures look busy and distract attention from the main focus which is the person in the photo. For family and sibling portraits, colour coordinated clothing is best. Bringing a few changes of outfits will make for a greater variety in your pictures. We will help you to mix and match if you are not sure. Q: How many people can take part in the family session? Q: What if my child will not cooperate? A: Young children can be a handful and cause parents a lot of stress during the photo session. The way we deal with them is to give them time and not to force them to do anything, and eventually they may want to come and join in. The more stressed the parent becomes, the naughtier the toddler is, so the best approach is to stay calm. Photo sessions on location tend to be a bit more relaxed for the kids as there is more space for them to run around.